39 Weekend Getaways Near Delhi That You Need To Visit! This story was updated in January 2019. It’s the end of Sunday and you are facing the Monday blues already. The clock feels like a time bomb, counting down to the end of our weekend, while you are left wondering where the two days went. Often, we are so undecided what to do or where to go, or compounded by the plethora of research involved, that we just cannot pick a place. These are some of the most sought-after places near the National Capital Region that draw mesmerised travellers for a quick escape from their busy lives. These weekend getaways are quick to reach and easy to stay. Take a look below and see how many you’ve checked off from your list! 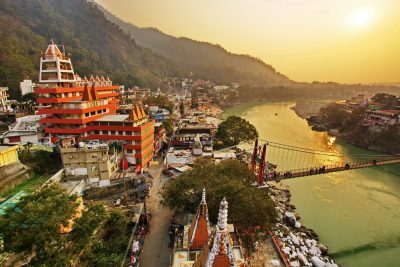 A small town, majorly known for its religious importance, Rishikesh attracts a large number of tourists to its mystical ghats and iconic temples. If you are looking to meditate or simply be at peace with nature, this is a perfect weekend getaway for all age groups. However, the biggest draw is undoubtedly the seasonal adventure camps that provide rafting, paragliding and other water sports. Distance From Delhi: 255 km by road. Top Attractions: Laxman Jhula, Ram Jhula, Meditation centres, adventure sports. Best Time To Visit: All year round, but the winter months are considered the best. Best Way To Get There: There are several express trains that run between Delhi and Haridwar, the nearest junction, or take a direct train to Haridwar as well. This hill station would easily top almost all our lists of long weekend getaways. The picturesque roads, the snow capped peaks, fishing in the river Beas, the local food and cool climate - these are just a handful of things that make Manali so attractive. Best Time To Visit: Make your plans in summer right before the monsoon hits towards the end of June. Winters are bitterly cold but also lack the usual tourist frenzy. Best Way To Get There: By road. Manali is well connected to Delhi by a plethora of state-run and private bus services as well as taxis. The holy city of Haridwar is on the way to Rishikesh and holds religious significance as the place where the Ganga leaves its heavenly abode and enters the human realm. Haridwar is known for its enchanting ghats, evenings aartis and the many beautiful temples that fill its lanes and corners. 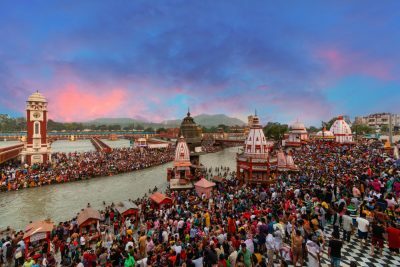 Top Attractions: Har Ki Pauri, Ganga Aarti, Chandni Devi Temple, Pawan Dham. Best Time To Visit: Haridwar is a picturesque destination affording enchanting views throughout the year. However, the right time to visit would be February, March, August - October. Best Way To Get There: By train. Trains to Haridwar depart from all three stations in Delhi, i.e.Old Delhi, New Delhi and Hazrat Nizamuddin. 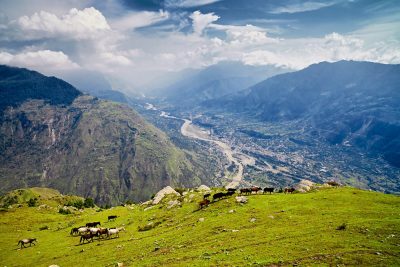 Kullu has been referenced in ancient texts like the Mahabharata and Ramayana, as part of the several legends in those works. The area remained secluded and cut off much after India’s independence and was only connected to the rest of the country a few decades earlier. This cut off led to the place retaining much of its old-world charm and aura. Top Attractions: Great Himalayan National Park, Raghunath Temple, Rupi Palace. Best Time To Visit: If you are looking for snow, then the winter months are the perfect time to visit this hill station. You can expect snow in the months between October and early March. Best Way To Get There: By road. There are regular bus services for Kullu from Delhi run by the Himachal Pradesh Tourism Development Corporation (HPTDC), Himachal Pradesh Road Transport Corporation (HRTC) and some private-owned agencies as well. More commonly known as Bir Billing, this twin destination comprises of the two towns (Bir and Billing), separated by about 16 kilometres. The area is a must-visit for all adventure heads for a weekend getaway. Distance From Delhi: 518 km by road. Top Attractions: Paragliding in Bir Billing, Chokling Monastery, Bir Tea Factory, Tibetan colony and market. 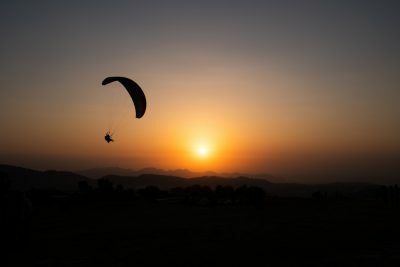 Best Time To Visit: If you are looking to paraglide, then October and November are the best months when the winds are stable and the flying conditions are ideal. If you just want to enjoy the town without the thrill of adventure sports, then head there in the summer between May and September. Best Way To Get There: By bus. The HRTC runs a regular fleet of buses that you can catch from Kashmere Gate and Majnu Ka Tila. Other private buses also ply between Bir and Delhi almost daily. 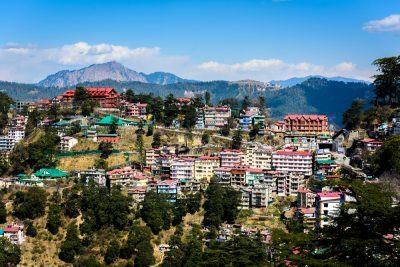 Situated just a few kilometres above its more well-known sister town of Dharamshala, McLeodganj forms the headquarters of the Tibetan government in exile. 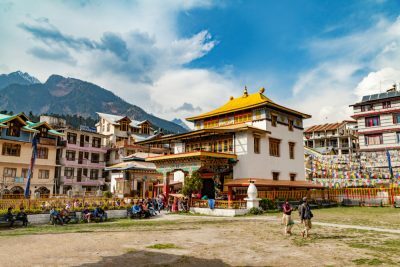 This weekend getaway is also known as ‘Little Lhasa’ for its large population of Tibetans and being the place of residence for the Dalai Lama. Best Time To Visit: Between September and October. The monsoon rains fade during this time, giving away to lush green meadows, thick canopies and clear skies. Best Way To Get There: By road. If you are up for it, the hilly town is a 10-hour drive away from Delhi. The HRTC also runs an efficient daily bus service from major transport hubs in the city like Majnu Ka Tila and Kashmere Gate. A backpackers delight, Kasol is also referred to as little Israel due to a large number of Israeli tourists and cafes dotting the area. The picturesque village of Malana is just around the corner and is equally famous for its Malana cream and a selection of local produce. Distance From Delhi: 512 km by road. Best Time To Visit: Kasol in summer is a sight to behold. The weather is ideal for trekking and water sports. If you are looking to go hiking, then June is the best month when most of the trails are opened and bursting with fellow campers. Best Way To Get There: By road. 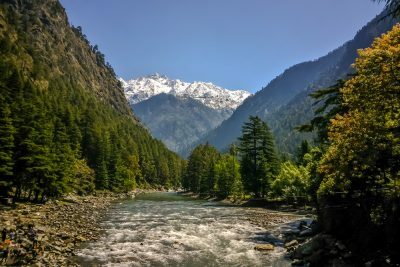 Being one of the most sought-after summer destinations in India, Kasol is well connected by road to places like Delhi, Chandigarh and Shimla. Buses ply from the Kashmere terminal on a daily basis. The 11-hour journey takes you to Bhuntar, where you have to get down and take another bus towards Manikaran and Kasol. Shimla is arguably the most popular weekend getaway on this list so far. The capital of Himachal Pradesh has it all - mesmerising Himalayan views, trendy eateries and cafes, well-renowned shopping centres and the charm of the colonial era. Top Attractions: Mall Road, The Ridge, State Museum, Chadwick Falls, Gorton Castle. Best Time To Visit: All year round. Shimla is open all year round with tourists from Delhi and Chandigarh. However, there is a charm in visiting the city at the turn of the new year, when there is a high possibility of snow. Best Way To Get There: By bus. Traveling by bus is one of the best ways to reach Shimla from Delhi. The total journey takes about 10 hours and you can avail a direct bus from any major bus terminus in the city. Distance From Delhi: 281 km by road. Top Attractions: Amer Fort, City Palace, Hawa Mahal, Jal Mahal, Jaigarh Fort. Best Time To Visit: The summer heat is almost unbearable in Jaipur. To truly explore the charm of the place, plan your trips from any time between November and March. Best Way To Get There: By road. Driving to the Pink City is arguably the best way to reach the place, given the short distance. Regular private and public buses also ply almost every hour between Delhi and Jaipur. Alternatively, there are ample trains and direct flights connecting the two cities. 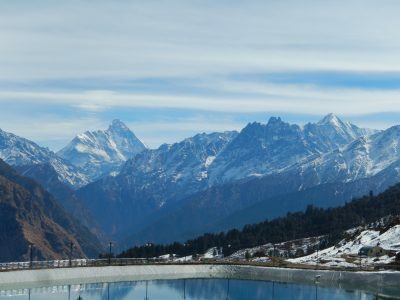 Auli is a popular ski destination in the winter, but an equally famous getaway in the summer. The hill station is unique for the unusual way to get to the town centre, by ropeway! It has one of the highest ropeways in India and the breathtaking views are just the added bonus. Distance From Delhi: 368 km by road. 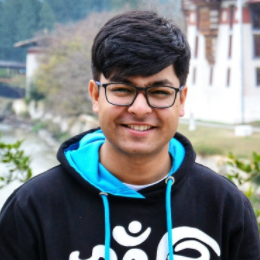 Top Attractions: Skiing in Auli (winters), Gurso Bugya trek, Kwani Bugyal. Best Time To Visit: All through the year. Skiers will tell you that the best time is the winter season when the slopes receive good snowfall. 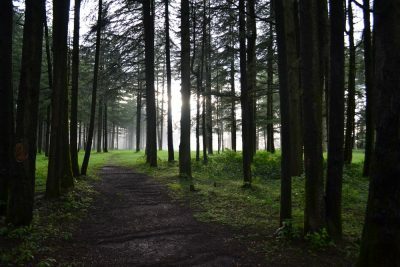 May to November offers a comfortable climate and is perfect for the great outdoors. Best Way To Get There: By bus. An overnight journey to Rishikesh and another nine-hour shared cab to Auli may not sound tempting. A more enjoyable way would be to take a shared taxi till Joshimath and from there, get on a cable car to Auli. The last major city before the India-Pakistan border, Amritsar's charm lies in its people. There is a certain way the city of the Golden Temple functions, humble at its roots and proud of its culture. A walk down its many lanes will take you through an emotional rollercoaster of the joy of food and the melancholy of its haunting past. Distance From Delhi: 449 km by road. Top Attractions: Golden Temple, Wagah Border, Jallianwaala Bagh, Partition Museum. Best Time To Visit: Amritsar will welcome any traveller with open arms all through the year. The place as well as the food changes with every season - summer, rain and winter. All three spectrums of the city should be explored. Best Way To Get There: By train. 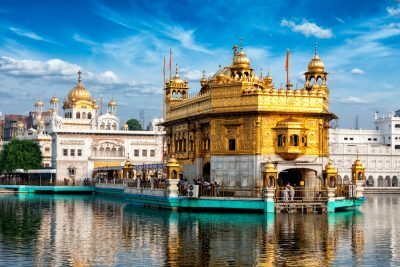 Delhi is extremely well connected to the city of the Golden Temple. The best way to get there is to catch the daily Shatabdi Express from New Delhi station. The journey takes a shade less than seven hours. These weekend getaways are feasible if you are pressed for time and are looking for something that doesn’t take a lot of time to reach. Mussoorie is the closest hill station to Delhi and the preferred getaway for long weekends as well as short ones. The rustic nature of the place, as well as the plethora of stay options for tourists, making it a convenient destination. Distance From Delhi: 289 km by road. Top Attractions: Mall Road, Lal Tibba, Sunset Point, Kempty Falls. 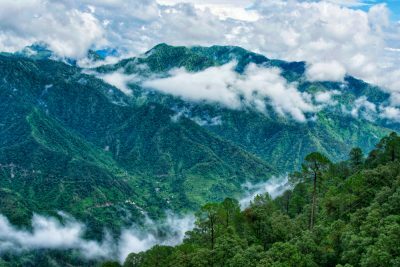 Best Time To Visit: The summer months are perfect for Mussoorie since it offers a respite from the scorching heat in the plains. Best Way To Get There: By bus. 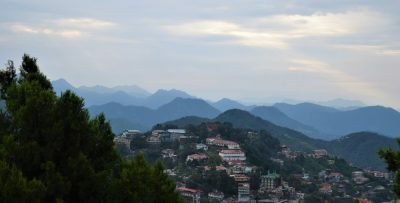 Mussoorie is well-linked to Delhi with a network of bus and taxi services, which includes private tour operators as well as state transport corporations. Its closeness to Dehradun, the capital city of Uttarakhand, also makes Mussoorie all the more accessible. 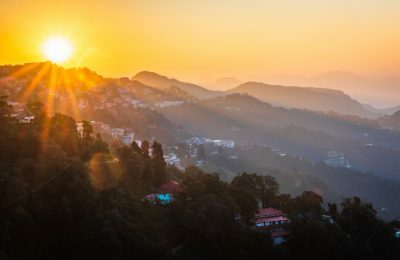 Located at a stones throw distance from Mussoorie, Landour offers the quiet and remoteness of a classical Himalayan town that the former cannot. Distance From Delhi: 294 km by road. Top Attractions: Sunset Point, Char Dukaan, Sister’s Bazaar, Ruskin Bond’s home. Best Time To Visit: As with Mussoorie, Landour is a paradise in the summer. Best Way To Get There: If you are reaching Landour from Mussoorie, the best way to explore the area is on foot. Trudge up the narrow roads and enjoy the breathtaking views of the valley below. The cantonment town is a good option for people looking to have a quiet weekend in the hills without the usual bustle of tourists flooding in. Distance From Delhi: 288 km by road. Top Attractions: Timber Trail, Monkey Point, Sunset Point, Mall Road, Christ Church. Best Time To Visit: As with most hill stations, this place is ideal for a summer getaway. Best Way To Get There: By train. Kasauli’s proximity to Kalka makes it ideal to take a train to the hill station. 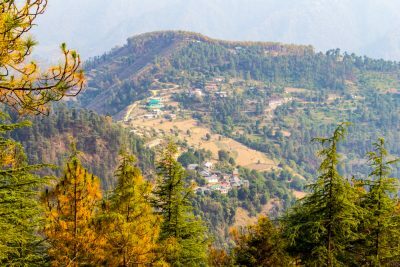 After reaching Kalka by the Kalka Shatabdi Express, there are shared taxis and public buses to Kasauli, a mere 25 kilometres away. 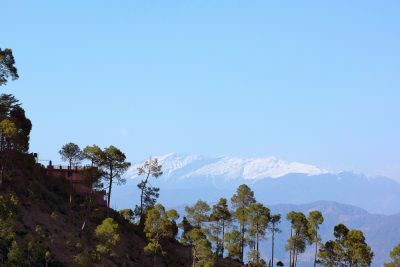 One of the several underrated Himalayan hill stations in North India, Lansdowne attracts a select few visitors looking to find peace and quiet in the hills. Distance From Delhi: 271 km by road. Top Attractions: Camping around Lansdowne, Bhulla Lake, trekking to Snow Viewpoint and Hawaghar, The War Museum or Darwan Singh Sangrahalaya. Best Time To Visit: The weather at Lansdowne is excellent throughout the year with plenty of sun and blue skies. However, winters can be really cold with an occasional sprinkle of snow. 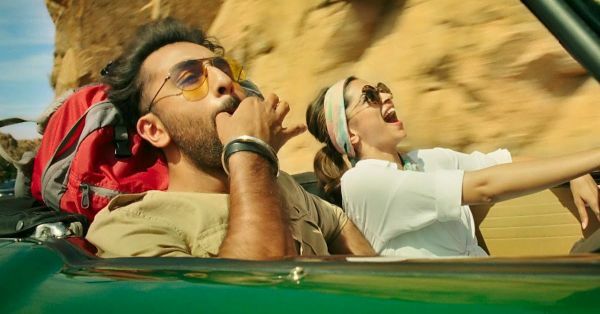 Best Way To Get There: The best option is a car journey since it’s just a five-six hour drive from Delhi. The roads via the national highways are good throughout and you can really enjoy the mystique hilly drive after Kotdwar. Naukuchiatal in the Indian state of Uttarakhand offers picture book sceneries, majestic mountains and a wide variety of greenery. If you are visiting Nainital, this place should be added to your itinerary. Distance From Delhi: 299 km by road. Top Attractions: Naukuchiatal Lake, Bhimtal Lake, trekking in the area, Vaishno Devi Shrine. Best Time To Visit: If you really want to enjoy the beauty and quiet of the place, then October is the best month. The fall changes the colour of the hills to a golden-brown hue, almost giving the feeling that they are on fire. Best Way To Get There: By train. If you want to avoid the traffic congestions while leaving Delhi, we suggest boarding a train to Kathgodam which will take nearly 5 hours to get there. Hire a cab or share one to reach Naukuchiatal which is just an hour away. Top Attractions: Jungle Safari, Spotting the Indian Tiger, Kankwari Fort ruins, The Ancient Shiva Temples. Best Time To Visit: The sanctuary is open throughout the year, but the best time to spot the tigers is during the months of October to June. Best Way To Get There: By train. Alwar junction is just 37 kilometres away with daily trains plying between Delhi and Jaipur. Sariska is well connected with Alwar by bus, which is further directly connected to Delhi and Jaipur. Distance From Delhi: 199 km by road. Top Attractions: Birdwatching at the park, Jungle Safari, Lohagarh Fort. 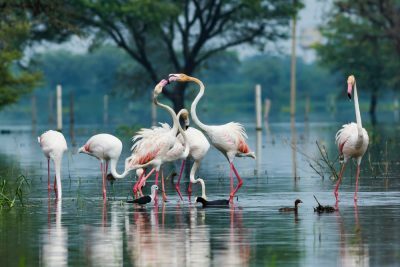 Best Time To Visit: The place is considered one of the best in North India for birdwatching. The ideal visiting months are from August-November to watch local breeding birds and October - February for migratory birds from Siberia. Best Way To Get There: By train. There are direct trains plying between New Delhi station and Bharatpur which is about 3 hours away. There are no direct buses between Delhi and Bharatpur and you have change buses at Agra. Distance From Delhi: 223 km by road. 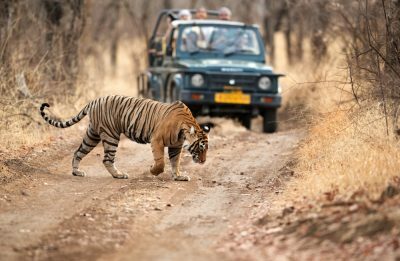 Top Attractions: The star attraction is the Royal Bengal tiger and the park is known to have the highest density of the predator in India. Best Time To Visit: The best time is between November through June as the park remains open to tourists during these months only. The park is kept closed during the monsoon season. Best Way To Get There: By train. Ramnagar is the only railway station near the park. A direct train to Ramnagar runs from Delhi. Alternatively, one can reach up to Haldwani/Kashipur/Kathgodam and come to Ramnagar by road. Taxis are easily available from these stations. 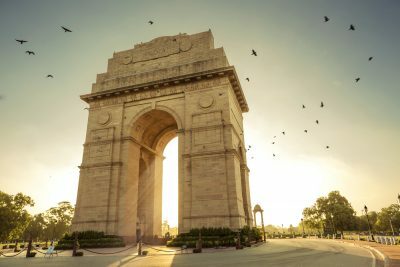 Have a weekend in Delhi when you have on plans? 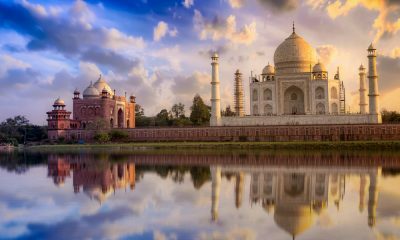 How about a trip to the ancient capital of the Mughal empire? Walk on the same pathways that adorned rulers like Akbar and Shah Jahan, and munch on some delightful local cuisine. Top Attractions: Taj Mahal, Agra Fort, Tomb of I'timād-ud-Daulah, Akbar’s Tomb, Mehtab Bagh. Best Time To Visit: The scorching summer heat almost makes it impossible to roam the ancient landmarks. Winter is generally the best time, but be prepared to be greeted by a surge of tourists. Best Way To Get There: By train. As a cultural and historical hub, Agra is serviced by a number of express trains from Delhi. The best option is to catch the Gatimaan Express from Hazrat Nizamuddin station, which takes you to your destination in less than three hours. Alternatively, the 6-lane Yamuna Expressway connects Greater Noida with Agra and makes for a great drive. The birthplace of Lord Krishna, Mathura is obviously a holy place among Hindus. A large number of visitors come to the destination not only for pilgrimage purpose but also because of Mathura’s rich historical importance. Top Attractions: Shri Krishna Janmabhoomi temple, Government Museum, Kans Qila, Vrindavan, Vishram Ghat. Best Time To Visit: Like most of the North Indian cities, the temperature of Mathura is extreme during the summers and winters. However, the condition remains best between November and March, making it easier for the visitors to explore the city at leisure. Best Way To Get There: By train. Almost every train from Delhi towards South India passes through Mathura and has a halt there. Kurukshetra finds its place in the epsilons of ancient Indian mythology as the place for the famous setting of the Mahabharata. Distance From Delhi: 154 km by road. 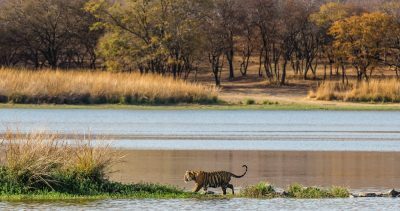 Best Time To Visit: The period from October to March is considered the best time to visit Kurukshetra, as the weather is pleasant and cool. Summers are uncomfortably hot and humid. Best Way To Get There: By road. There is a constant barrage of buses travelling on the Grand Trunk Road from Delhi to Chandigarh and beyond. The journey is fairly short but can include quite a bit of stoppage. If you have that extra day in hand and are planning for a longer stay, then these weekend getaways near Delhi are a good option. A mix of charming hill stations, must-visit national parks and historical centres await you in this list! Dotted with lakes, Nainital has earned the designation of ‘Lake District’ of India. 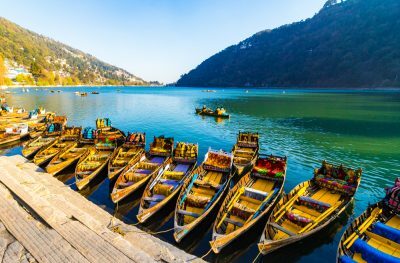 Nainital’s unending amount of scenic beauty is nothing short of romantic with awe-inspiring views and some stunning weather. Best Time To Visit: Nainital in summer is unlike any other place. The sky clears up giving you a glimpse of the Himalayan peaks in the distance. The place is packed with activity and tourists from the plains during this time. Best Way To Get There: By bus. If you are looking for convenience, then an overnight journey to the hill station is the best option. Regular and deluxe buses are available at all major terminals in Delhi. Travelling by train is a good option as well. However, you have to take a taxi or a bus to Nainital from Kathgodam. This place was always known to the frequent travellers of Himachal. However, the place became a popular weekend getaway after it began regular international and domestic cricket matches. Top Attractions: Tsuglagkhang Complex and Dalai Lama Temple, Sunset Point, Tibet Museum, Dal Lake, Dharamshala Cricket Stadium. Best Time To Visit: Autumn. The summer heat can be prickly and the winters can be very chilly, but autumn fits just perfectly with ample sunshine. Best Way To Get There: By bus. 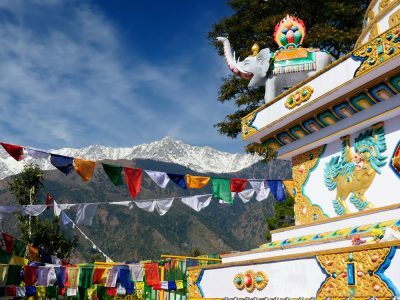 Being a place of religious and political significance, Dharamshala can be reached hassle-free. Direct buses to the town run every day from the Inter-State Bus Terminals (ISBT) in and around Delhi. A small hamlet in upper Himachal, Malana is known for its remoteness, making it a preferred getaway for people looking to escape the urban jungles of the city. Distance From Delhi: 521 km by road. Top Attractions: Trekking to Chanderkhani Pass, Jamlu Devta Temple, Chalal Trail Trek and Camping. Best Time To Visit: Summer. Due to its remote location in the upper Himalayan slopes, Malana has an extremely cold winter. Summers are the best months to visit as most of the routes open during the time. May to August is the best time. Best Way To Get There: By bus. Regular buses are available from Kashmiri Gate ISBT to Bhuntar (near Kullu). From Bhuntar, you have to take a bus to Jari and book a taxi to Malana. Alternatively, there is a bus available in the evening. Another underrated weekend getaway near Delhi, Almora is located at the foot of the Himalayas. The town offers panoramic views of the surrounding mountains and holds a religious significance as well. Distance From Delhi: 394 km by road. Top Attractions: Panoramic Himalayan views from Zero Point, Jageshwar Temples, Katarmal Sun Temple, Dunagiri, Bright End Corner. Best Time To Visit: Summer. If you want to avoid the frigid winters, the months between March and October are ideal. Most of the trekking and sightseeing happens during those months as well. Best Way To Get There: By road. Almora has good road connectivity to Delhi, Haridwar and Dehradun and you can catch a private or public bus at any one of the ISBTs in these cities. It is said that the beauty of Naldehra even prompted the erstwhile Viceroy of India, Lord Curzon, to make it his daughter Alexandra’s second name. The hilly town just outside Shimla is known for its picture-perfect scenery and for one of the oldest golf courses in India. Distance From Delhi: 366 km by road. Top Attractions: The Naldehra golf course, hiking around the golf course area. Best Time To Visit: Summer. The grass is lush green from the summer rains and the green, sweeping meadows make for ideal camping spots. Best Way To Get There: By road. Naldehra is about 25 km from Shimla and you can easily get a car or a bus from the taxi stand. The Britishers made Ranikhet their go-to destination in the summer because of the cool weather and natural beauty. Even after independence, Ranikhet continues to top most of our lists as a preferred destination. Distance From Delhi: 387 km by road. 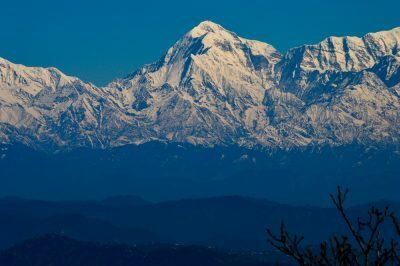 Top Attractions: Chaubatia Orchards, glimpses of the snowy Himalayan peaks at Majhkhali, Kalika, Sadar Bazaar, Kumaon Museum. Best Time To Visit: Early summer. The months between March and June are the most ideal time to visit. You will want to avoid the rain after June, which usually falls in torrents. Winters are cold, but the town does see the occasional snowfall. Best Way To Get There: By train. Kathgodam station is 80 km away from Ranikhet and there are express trains running regularly from Delhi. 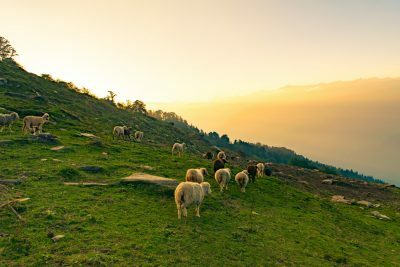 Reputation precedes Chail as one of the most beautiful hill stations in India. The Maharaja of Patiala fell in love with the place and decided to merge it with another of his loves - cricket. The world’s highest cricket ground is located here. Distance From Delhi: 336 km by road. 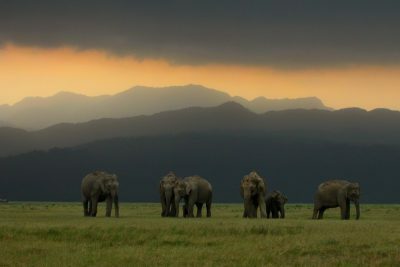 Top Attractions: Chail Wildlife Sanctuary, Chail Cricket Stadium, Palace Hotel, shopping in the city. Best Time To Visit: Summer. The summer months are pleasant and windy with plenty of sunshine. The cool climate makes it an ideal weekend getaway from the nearby cities of Delhi and Chandigarh. Best Way To Get There: By road. Shimla is about 50 km away from Chail and you can easily avail a car or a bus from there. Pangot is a quaint hamlet in Uttarakhand and is famous for being one of the best places to go birdwatching. Top Attractions: Snow View Point, hiking through the lush Himalayan forests, spotting local animals and birdwatching, trekking. Best Time To Visit: Anytime during the year is a good occasion to visit Pangot. The months from April to June are pleasant and are a good time for bird watching. The place looks divine during this period, as with the coming of winters, the area wears a cold yet very romantic atmosphere to it. Best Way To Get There: By train. The nearest railhead is Kathgodam, about 20 kilometres away from Pangot. From there, you can easily book a cab or catch a bus to reach your destination. Mukteshwar is a town located in Uttrakhand. Named after Lord Shiva, the God who offers Moksha or salvation, the town is known to offer a calm getaway unlike many other hill stations in the area. Distance From Delhi: 378 km by road. Top Attractions: Sitla, Mukteshwar temple, Inspection Bungalow, Chauthi Jaali, Views of Nanda Devi. Best Time To Visit: Autumn. The clear, crisp mountain air in the months of October and November draws hikers from far and wide. You could trek to all the viewpoints in the area and admire the glorious snowy peaks in the distance. Best Way To Get There: By train. Kathgodam, the nearest railways station, is 70 km away. From there, you could catch a bus or hire a cab for your journey to Mukteshwar. Named after Bhima, the mythological character from the Mahabharata, Bhimtal is revered for its aesthetic beauty. This lake city is becoming increasingly popular as it is located in the vicinity of Nainital and offers some comparatively cheaper stay options than that of Nainital. Distance From Delhi: 345 km by road. Top Attractions: Bhimtal Lake, Aquarium on Bhimtal Island, Hidimba Parvat, Nal Damyanti. Best Time To Visit: March to June and September to December are the best months to visit Bhimtal. The weather is quite pleasant throughout the year in this town, which makes it convenient for a quick weekend getaway. Best Way To Get There: The nearest railway station to Bhimtal is Kathgodam, about 30 km away. Kathgodam, the gateway to the Kumaon region, is connected by two trains that run daily between Delhi and the city. 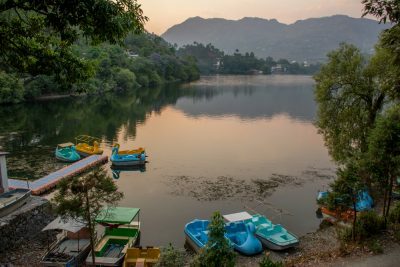 From there, buses and taxis can easily be hired to Bhimtal. 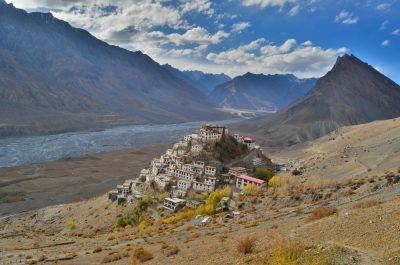 Okay, we admit we cheated a little with this one, but this list would have been incomplete without a shoutout to Spiti Valley. Cold barren landscapes, snow-covered fields and the remote beauty of the place make Spiti a dream that every traveller wants to make a reality. Top Attractions: Chandratal Lake, Key Monastery, Kunzum Pass, Dhankar Monastery, Dhankar Lake. Best Time To Visit: Summer. The roads open up and the weather is perfect between May and September. The region sees a polar winter, with temperatures plummeting several scores below zero. Best Way To Get There: By road. Spiti valley is usually accessible throughout the year from Shimla via Kinnaur. However, the remote location of the place means that buses are few and far in between. It is usually recommended to consult a travel agency if you are going there for the first time. Best Time To Visit: Each year, the park opens up for the public from October 1 and does not close until the end of June. October to April are the best months to visit to spot the tigers. Best Way To Get There: By train. The nearest railway station is Sawai Madhopur Railway Station which is just 11 km from the national park. There are ample buses and taxis to take you to the national park from there. Top Attractions: Valley Of Flowers National Park, Nanda Devi National Park, Hemkund Sahib. 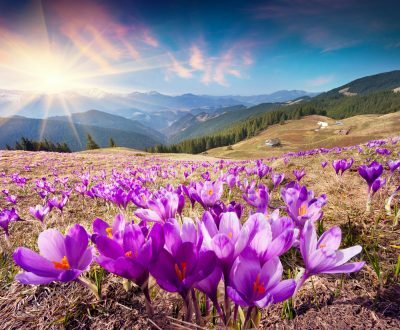 Best Time To Visit: In the spring, just before summer. The valley is filled with the aroma of tens of thousands of flowers. Anytime between March and May is peak tourist season. Best Way To Get There: By trekking. Valley of Flowers is not connected to the rest of the world by any motorable road. The nearest place is Govindghat (near Joshimath) which is about 17 km from the valley. Visitors need to get a permit to enter the park here. Joshimath is well connected to Delhi and Dehradun by road. If the NickYanka wedding wasn’t reason enough to visit Jodhpur, this ancient Rajput city is a walk down history lane with every step. Historic forts and temple line the now-modern streets, but the ‘Blue City’ still is steeped with the charm and vibe that made the envy and desire of medieval rulers. Top Attractions: Mehrangarh Fort, Umaid Bhawan Palace, Khejarla Fort, Mandore gardens. Best Time To Visit: The months between November and February are the best time to visit Jodhpur. This is extremely good weather to visit all the forts and historical landmarks in the city. Best Way To Get There: By air. Jodhpur has direct flights to Delhi, Mumbai and Ahmedabad. However, flights could be a little expensive as there is but a handful to the place. But if you book in advance, you should get a good deal on your return fares. 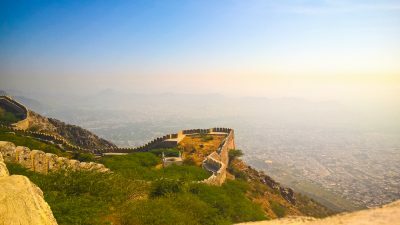 Situated in between the Aravallis, Ajmer is perhaps most famous for the Dargah Sharif or the shrine of Muin-ud-din Chishti. The city finds its roots in traditions and culture from both its Hindu and Islamic lineage and has a unique historic charm which lies in the centuries of Rajput and Mughal governance. Distance From Delhi: 404 km by road. Top Attractions: Dargah Sharif, Adhai Din Ka Jhopra, Nareli Jain Temple, Akbar’s Palace and Museum. Best Time To Visit: In the winter. Being so close to the Thar desert, Ajmer sees a blistering hot summer. The winter months of November to March are ideal to sightsee and visit the several landmarks in the city. Best Way To Get There: By train. All the major trains have their stoppages at the Ajmer Junction. Delhi-Ajmer Shatabdi is one of the daily express trains that connect the city to India’s capital. One of the oldest cities in India, Pushkar forms a bridge between the old and the new. The historic landmarks sit comfortably amidst modern festivals and fairs. The city, often referred to as the ‘rose garden of Rajasthan’, is also one of the five sacred dhams for Hindus. Distance From Delhi: 415 km by road. Top Attractions: Bramha Temple, Pushkar Lake, Pushkar Cattle Fair, Apteshwar Temple. Best Time To Visit: Like with other places in Rajasthan, Pushkar is best enjoyed during the winters. The temperatures can get really cold in January, so heavy woollens are advised. Best Way To Get There: By train. Ajmer is the nearest railway station and the 15-km distance between the two places are bridged by a fleet of taxis and buses. If you are picturing camels and sand dunes right now, then you wouldn’t be wrong. Bikaner is captivating with its ancient forts and palaces, as well as the grand sand dunes and endless Thar desert. 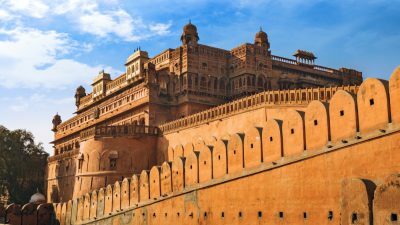 One of the great desert kingdoms of Rajasthan, the dazzling city also boasts of old-world charm through its affluent havelis which depict a culturally wealthy era of the Rajputs. Distance From Delhi: 496 km by road. Top Attractions: Junagarh Fort, Lalgarh Palace, Rampuriya Haveli, Karni Mata Temple. Best Time To Visit: October to March are the best months to go on walking tours around the city. The camel fair in January is a big draw as well. Summers are terribly hot and should be avoided. Best Way To Get There: By train. Bikaner has two well-connected railway stations that are connected to Delhi, Jaipur, Mumbai and other major cities. A short taxi ride will take you to your nearest hotel. There are two railway stations in Bikaner- Bikaner Junction and Lalgarh Railway Junction located at a distance of 6 km from the city. These are connected to many major cities like Jaipur, Punjab, Delhi, Hyderabad, Mumbai and others. From any of these two stations, you will easily find a taxi to reach the city or your hotel. POPxo is now available in six languages: English, Hindi, Tamil, Telugu, Marathi and Bangla. AWESOME NEWS! POPxo SHOP is now Open! Get 25% off on all the super fun mugs, phone covers, cushions, laptop sleeves, and more! Use coupon code POPXOFIRST. Online shopping for women never looked better!